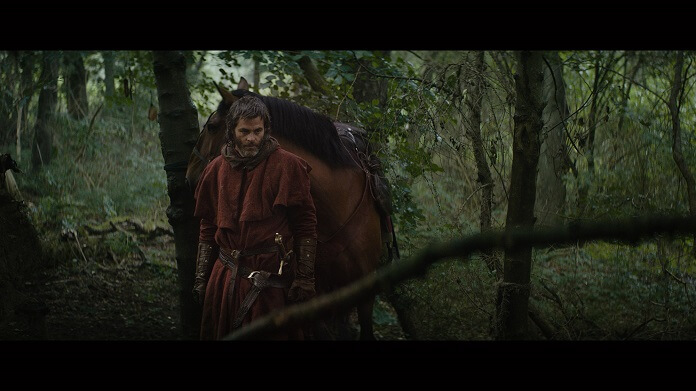 Filming is currently underway in Scotland on Outlaw King and the first photo from the production shows Chris Pine (Wonder Woman, the Star Trek film franchise) in his role as King of Scots Robert the Bruce. Pine reunites with his Hell or High Water director David Mackenzie for Netflix’s epic period drama. Mackenzie also wrote the script with Bash Doran (Boardwalk Empire), James MacInnes, Mark Bomback, and playwright David Harrower. In addition to Pine, the Outlaw King cast includes Aaron Taylor-Johnson (Nocturnal Animals), Florence Pugh (Lady Macbeth), Tony Curran (Sons of Anarchy), Stephen Dillane (Game of Thrones), and Billy Howle (Dunkirk). Writer/director Mackenzie, Gillian Berrie, Richard Brown, and Steve Golin are producing the drama. The shooting locations will include the last known resting place of Robert the Bruce’s remains. Netflix expects the film to be released in 2018. “I am so happy to have the opportunity to dig deep into the story of Robert the Bruce and to discover some of the truths that often get obscured by legend. This is my sixth feature film shot in Scotland and autumn is my favourite time of year to shoot so I am excited to bring this film to light in the beautiful Scottish elements – come rain, shine, storm or snow. I am proud that our little Glasgow based production company, Sigma films, has been able to make this film and thank Netflix for letting us do it.” said director David Mackenzie. The Plot: The screenplay takes place over the extraordinary historic year when Robert the Bruce fights to regain control having been crowned King of Scots, only to be defeated in a surprise attack and made an outlaw by the English King and his occupying forces.